Home / Archive / Sky 1, Virgin 1, BT 1? Sky 1, Virgin 1, BT 1? Reports suggest that BT is preparing to launch an entertainment channel to rival Sky 1, in order to offer more than exclusive sport and US drama to its TV subscribers. The latest report from Broadcast repeats similar claims made at the start of the year in the Daily Mail, when Grant Best, a senior executive who was involved with BT Sport, quit the company after a disagreement over the development of a rival to Sky 1, which will pull some of the BT's resources away from sport. If true, BT's strategy would follow in the footsteps of Virgin Media, who launched Virgin 1 as their prime entertainment channel in 2007, at a time when the cable company was embroiled in a bitter dispute with Sky, which saw several Sky channels, including Sky 1 being removed from Virgin Media. Virgin 1 was taken over by Sky in 2010, rebranded Channel One, and closed down in 2011. BT is also at loggerheads with Sky, with BT's TV service the only major pay TV service currently without access to Sky's main entertainment channels. BT is not making any comments about the latest reports, which follow last year's launch of evening-only channel AMC from BT. Apart from a few exclusive shows, notably Fear The Walking Dead, AMC been very low-profile. 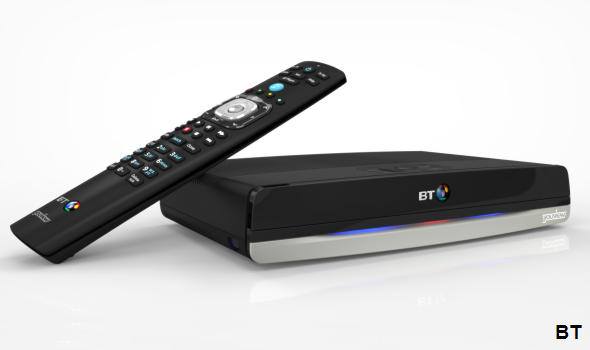 Apart from its sport channels and AMC, the BT TV service largely consists of a collection of lower tier pay TV channels. BT has 1.5 million TV subscribers in the UK. It currently distributes its channels through its YouView-based platform, plus also makes its Sports channels and AMC available to Sky viewers, who are able to subscribe directly through BT, sidestepping Sky. If it follows in the footsteps of Virgin 1 hopefully it would be on freeview. This could be a decent idea, but I don't think they would get very far if they were to lock it to their own TV platform. I think the only way they can compete with sky would be if they were to get large viewer numbers. The only way they could do that would be if they were to put it on Freeview, which for the time being at least, would mean that it would only be available in SD most likely. At least until after the T2 switchover anyway, then you might possibly see it in HD. I hope BT give it a go. It would certainly make for entertaining viewing with regards to rights battles for shows as we have seen with sports! And im not sure why people are asking for Horror channel in HD and Ginx. I think someone needs to read the article again!!!!! BT TV is the Lidl of pay TV. I considered getting it, but for £15 a month there is not enough content. You have to mess about with getting an aerial if moving from Sky as well. They need a satellite box, but understand why this is highly unlikely. They should offer both Freeview and Freesat, and still steam their channels over the net.